Villathis property is one of three brand new villas located to the west of Playa Blanca in the upmarket urbanization of La Maretas. 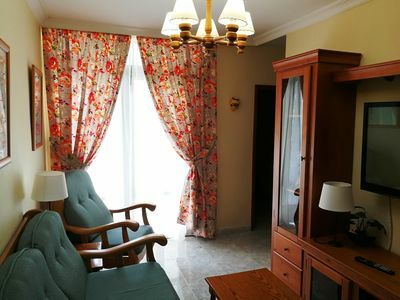 This modern and well equipped three bedroom, two bathroom property offers plenty of amenities to give our customers the perfect villa experience. 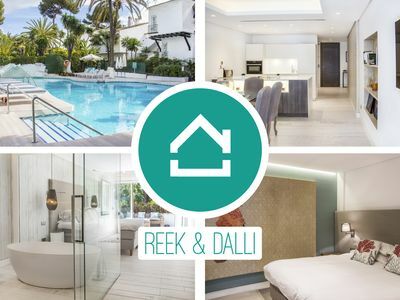 Designed over two levels, the ground floor consists of a modern lounge looking outside to the pool area, complete with a multiple UK channels, games console and dining facilities for six people. Leading through the hall to the modern kitchen fully equipped including dishwasher. 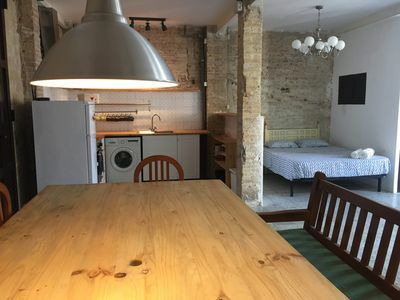 Also on the ground level is a twin bedroom and a family sized shower room. Upstairs is a further twin bedroom, a master bedroom and separate family bathroom. 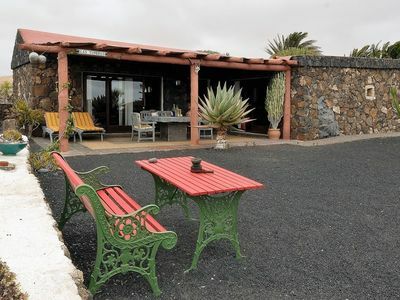 Both upstairs bedrooms have access to the terrace offering stunning sea views out to the islands of Los Lobos and Fuerteventura. 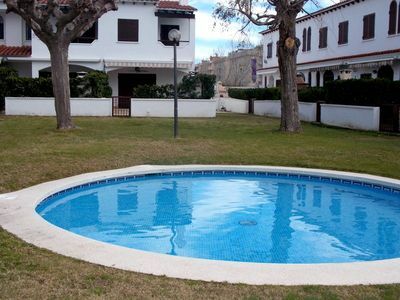 The outside living space is fantastic, in the centre of the ground is your own freeform shaped swimming pool (heating included between November and April) with stepped access. A day bed is positioned near to the swimming pool for those wanting to chill out away from the Canarian sunshine. A brick BBQ and sink is available offering our guest to dine alfresco for when it suits them. A large pergola is attached to the villa giving guests plenty of shade, complete with comfortable rattan seating and further dining facilities. Also for our guests enjoyment are a table tennis and pool table. 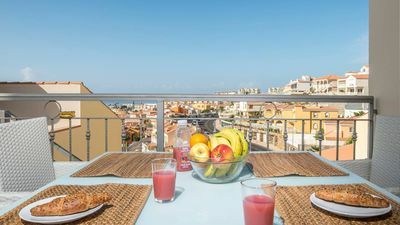 Several restaurants and a few bars in Faro Park are conveniently with easy walking distance and Playa Blanca can be discover in less than a 10 minute drive. 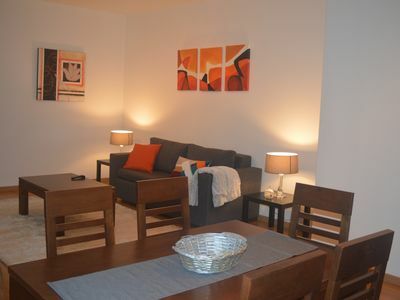 Sister villas Anibal and Fito are also nearby for those looking for larger group accommodation. 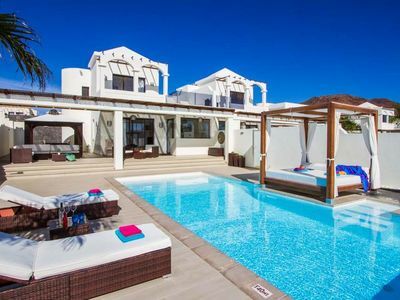 Villathis property is one of three brand new villas located to the west of Playa Blanca in the upmarket urbanization of La Maretas. 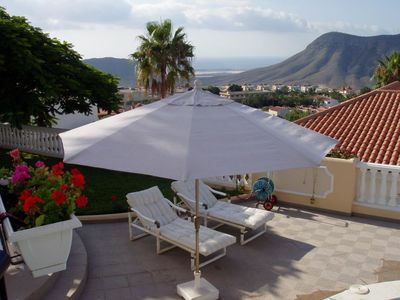 This villa, in Playa Blanca, is a comfortable property sleeping 6 people. 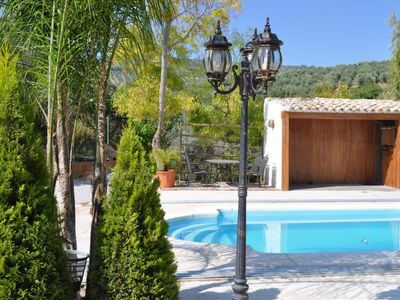 The villa offers superb accommodation, including modern luxuries such as internet access, table tennis, swimming pool, heated pool, television, air conditioning, DVD player, covered terrace and an open terrace. You can bask under the Spanish sun in the villa’s beautiful covered terrace and open terrace, making use of its barbecue. 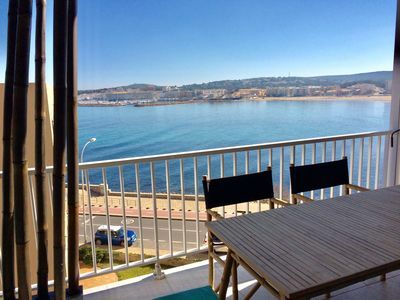 You can stroll down to the nearest beach in this Spanish villa, which is 1200 kms away. 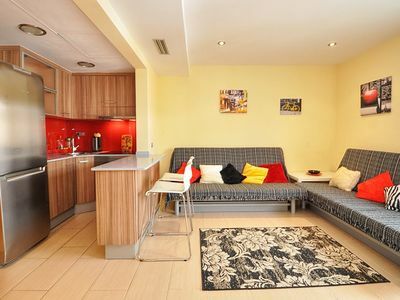 Central floor of 123 m. with parking, air-conditioned, wifi, next to the town hall. 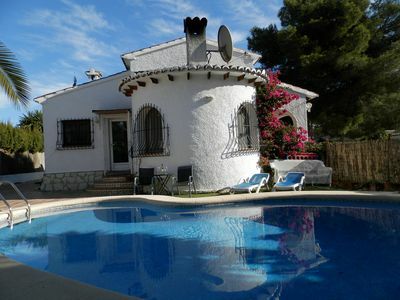 Villa Alegra sleeps 7/8, Private pool with bar, Free wifi, part AirCon. UNFORGETTABLE VACATIONS!! 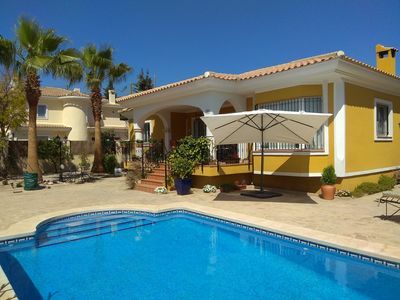 !BEAUTIFUL VILLA WITH POOL AND ALL THE COMFORTS.